Justin Garcia – Learning from Experience and Routine | Did The Tribe Win Last Night? Last season, Justin Garcia featured a flowing mane of dark blonde hair. This season, he has it cut short. Either way, he has been a reliable arm out of the High-A Lynchburg Hillcats bullpen. Garcia was born in Rowlett, Texas, a suburb of Dallas. He attended Weatherford College for two years before the Indians selected him in the 38th round of the 2013 First Year Player Draft. He is now in his fourth season in their farm system and enjoying every minute of being a professional ballplayer. He developed an interest in baseball from his mother and got to grow up playing against many talented players in the Dallas-Fort Worth area. She played softball growing up, was always willing to play catch, and passed her passion for the game on to him. Growing up he was a fan of the Texas Rangers. “Pudge Rodriguez and, of course, Nolan Ryan, those are my two,” said Garcia about his favorite players. 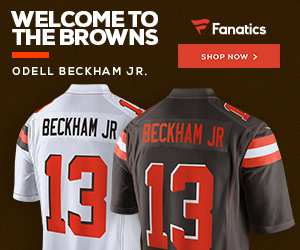 Not too shabby to be able to follow the careers of two Hall-of-Famers for your hometown team. Following players like Rodriguez and Ryan is not easy. Garcia has learned that there is a great deal more to success in baseball than just having talent. His peak season of performance was in 2015, pitching for the Low-A Lake County Captains. In 52 1/3 innings, he marked a 1.89 ERA, 40 strikeouts, an opposing batting average of .207, and a 3-0 record. 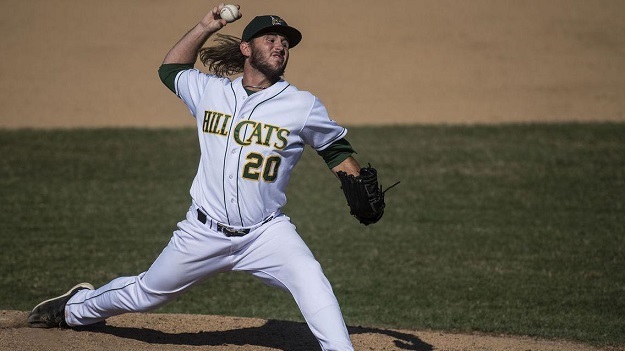 In a Lynchburg Hillcats uniform, he has accumulated 46 games pitched with a 4-1 record, chalking up 65 strikeouts and a 3.47 ERA in 70 total innings. On the mound, he tends to focus on his fastball, as most relievers only pitch one or two innings per outing. Working out of the Hillcats bullpen, he and the rest of the team’s relief corps usually have some time on their hands before they are needed in a game. This is not just down time. The bullpen crew talk about the game and what went on the night before, or the last time they faced a team or a group of hitters. This also extends to watching how the Hillcats starters work the opposing batters so that if any of the relievers are called upon, they can continue with the pitching strategy, or use it to gain an edge on their hitting foes. His most recent outing may be his best in a Hillcats uniform. He pitched four innings of a 15-inning contest against division rival Potomac. He struck out seven while allowing only a single batter on base by a walk. This earned him his fourth career win at the High-A level and solidified his role as a key member of the Lynchburg bullpen. When he is not at the ballpark working on his pitching routines, or getting ready for a game, he enjoys golf. He can hit long drives off the tee, and playing golf has allowed him to enjoy watching it on television as well. For now, Justin Garcia is focusing on mastering the difficult art of pitching. Though he only spent two years at Weatherford, he plans on completing his college education someday. So if you happen to catch the Hillcats this season, anywhere around the Carolina League, sit near the visitor’s bullpen. About 15 or 20 minutes prior to game time, #20 will come strolling by with a big smile on his face. That is Justin Garcia. Here is to hoping that he gets that chance.